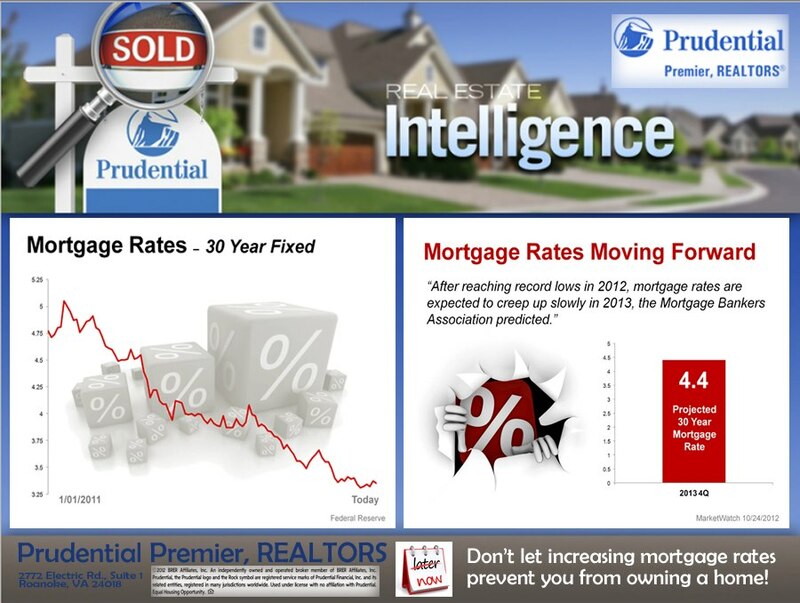 The Mortgage Bankers Association predicts mortgage rates will creep up in 2013. If you're interested in buying, call me early in the year! Prudential Premier, REALTORS, 2772 Electric Rd. Roanoke, VA 24018 (540)343-5000. Licensed in Virginia. Equal Housing Opportunity.